You wouldn’t think you’d need instructions on how to cut a bell pepper, but apparently I do. I just kind of randomly cut chunks off of the pepper, but this method is so much easier, and leaves the core in one piece to be easily removed. 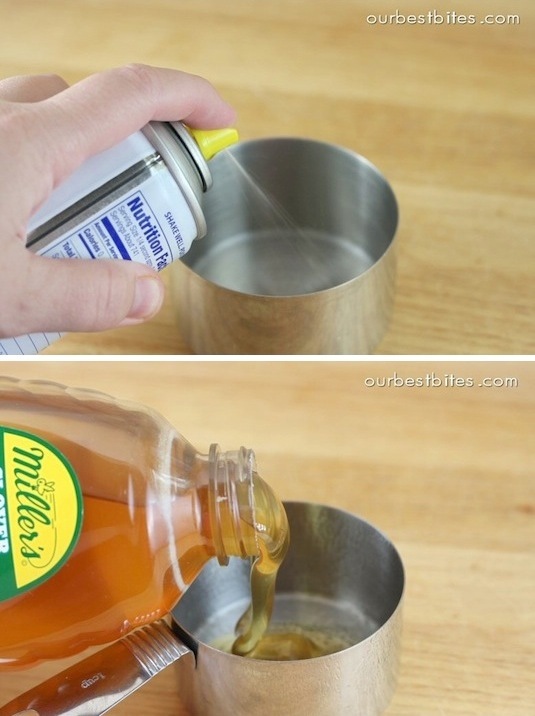 When measuring sticky stuff like honey, molasses or peanut butter, spray your measuring cups with a non-stick spray (or make a quick coat with oil) so that it slides right out. 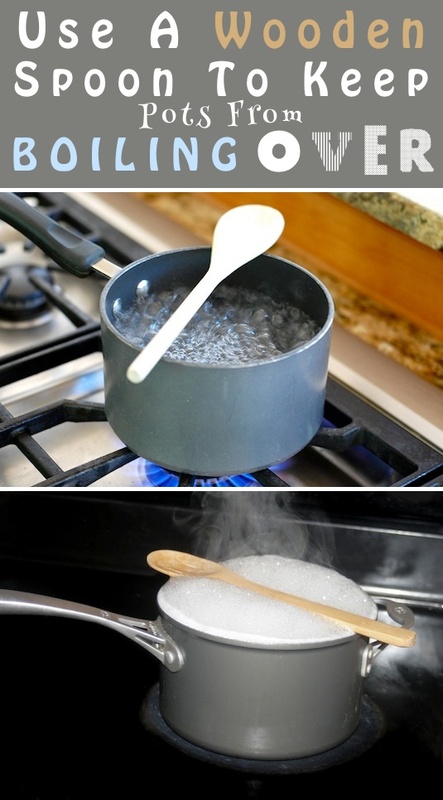 Place a wooden spoon over boiling water to keep it from boiling over. There is a lot of science behind this, but the easiest way to explain why this works is because the spoon pops a lot of the bubbles once they come into contact with it, and it also absorbs some of the moisture. Apparently, metal spoons don’t work because they heat up too fast. 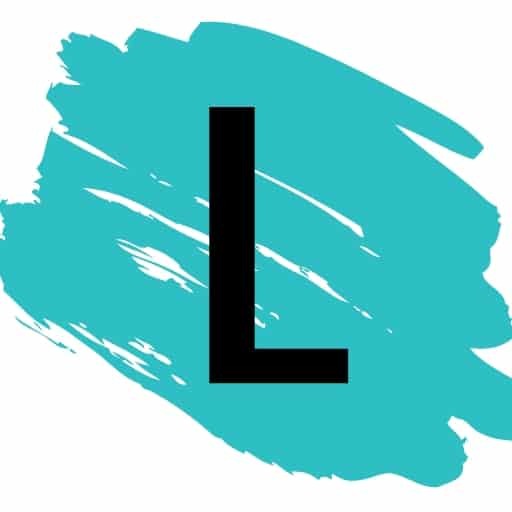 It’s worth a try!